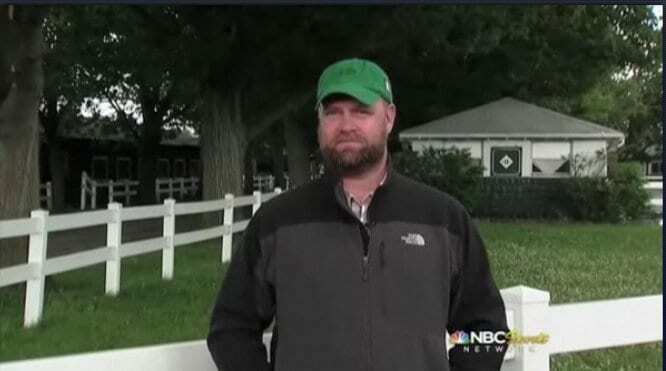 On the NBC Sports Network show, Costas Tonight, Bob Costas interviewed I'll Have Another trainer Doug O'Neill about possible tactics for the Belmont Stakes, O'Neill's medication violations, and industry reform. The interview began with questions about I'll Have Another and his possible strategy for the Belmont. O'Neill said the ideal scenario would be I'll Have Another getting an uncontested lead. In response to questions about his violations, O'Neill reiterated his innocence and the fact he has never had an illegal drug positive – all of his citations have come from high levels of therapeutic drugs. He said I'll Have Another is a clean horse, and he continues to insist he has never drugged a horse. When asked about reform in the industry, O'Neill said he believed a central governing body would be the most important step. This entry was posted in Triple Crown and tagged 2012 triple crown, belmont 144, Bob Costas, doug o'neill, Horse Racing, i'll have another, thoroughbred by Paulick Report Staff. Bookmark the permalink.